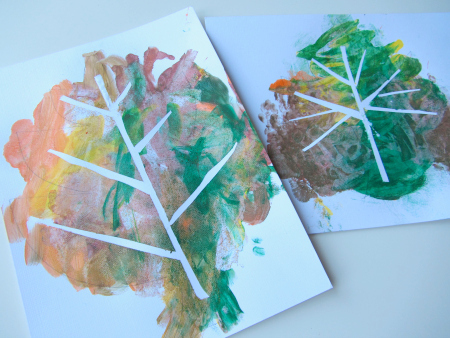 My daughter loves to paint and this fun easy fall leaf craft gave her ample time to explore and glop on as much paint as she wanted and use both her brushes and fingers to create. The painter’s tape relief effect is really optional but the effect is so cool and my daughter who is two was amazed by it while I peeled it off. Even though she couldn’t do it herself it was still a fun step for her. 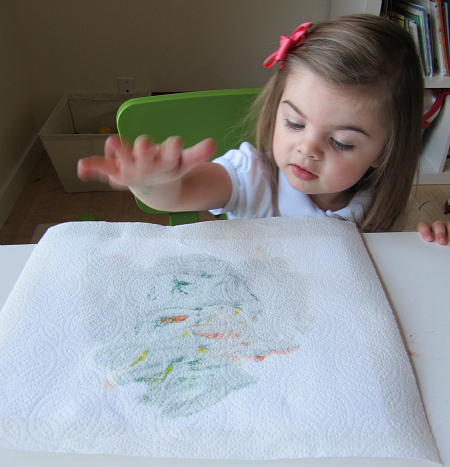 Do not miss the paper towel step though, it adds texture and cuts drying time in half which for a 2 year old makes a world of difference. Gather your materials. You will need some paper( my favorite! 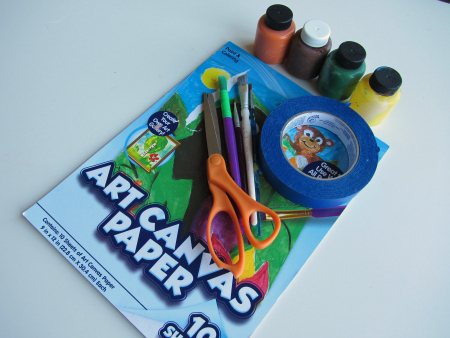 ), pencil, paint in your choice of colors, some gold glitter glue, brushes, painter’s tape, paper towel and scissors. 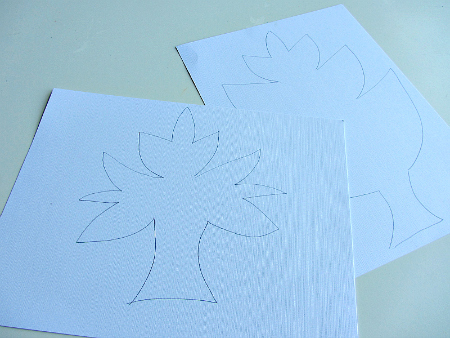 Start by drawing the outline of some leaves on the paper. 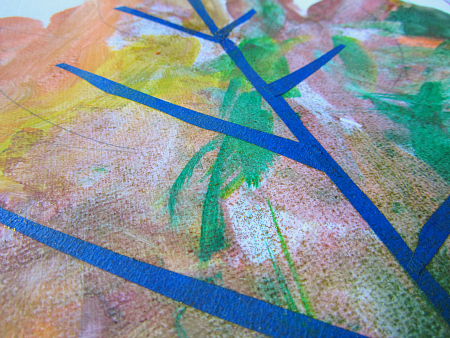 Next using painter’s tape add veins to the leaves. Paint. 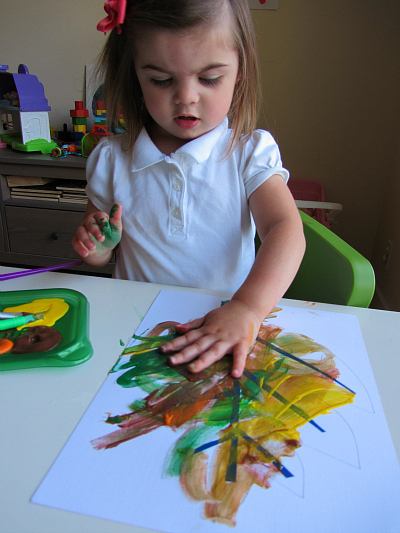 She started with the brushes but quickly moved to her hands. She didn’t even use a brush with the 2nd one. Wash hands. 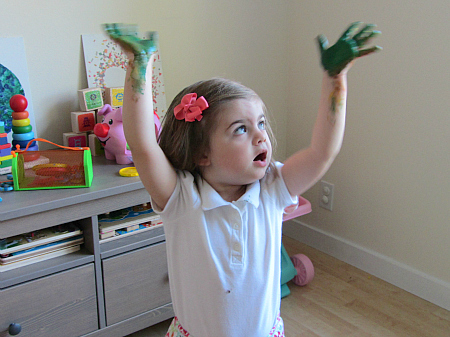 We use the “Hands up!” and freeze with her when her hands are covered. Then I whisked her to the sink to wash up. Next grab some paper towel and blot. See the texture? Let dry to the touch and peel the tape off. 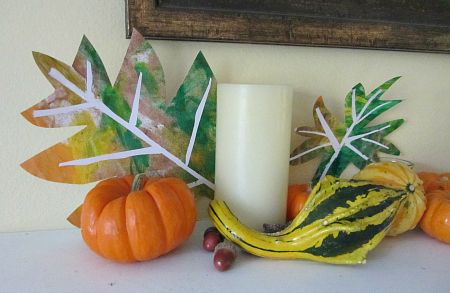 Cut and Display- kids love seeing their art all over the house. I added hers to our fall mantle. 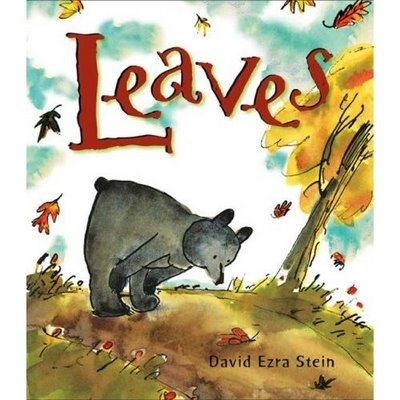 Leaves by David Ezra Stein is such a sweet book about a young bear who doesn’t understand what is happening when he sees leaves falling from the trees. He even tries to put them back on but it doesn’t work. Eventually he lays down for a nap and hibernates until Spring when he happily notices that there are new tiny leaves budding on the trees. Both my kids loved this book. I got it out of the library for my toddler who loved it and while reading it to her I had to start over so her almost 6 year old brother could listen from the start. We each took our own things from it, my daughter has been noticing the changes of Fall for the first time just like the bear in the story. My son took the chance to tell me all about hibernation and everything he knows about it . I thought it was bittersweet, and related to how quickly the years seem to pass and how quickly my little bears are changing too. A really lovely book! Very nice idea! 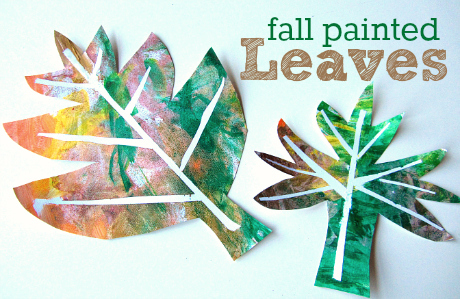 I liked that you soaked the paint and it left a nice texture on the leaf! My kids and I will be doing this fun craft tomorrow!! 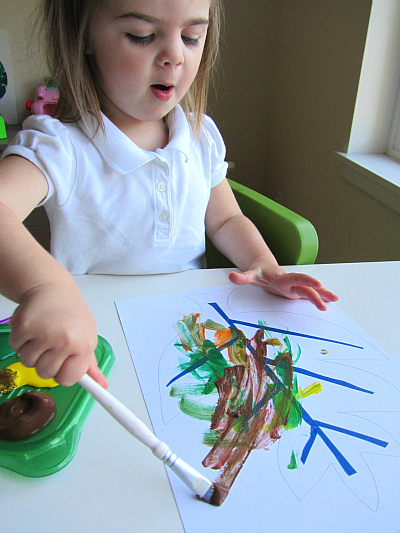 Painting in a white shirt, you are an awesomely relaxed mama! This is a great craft. 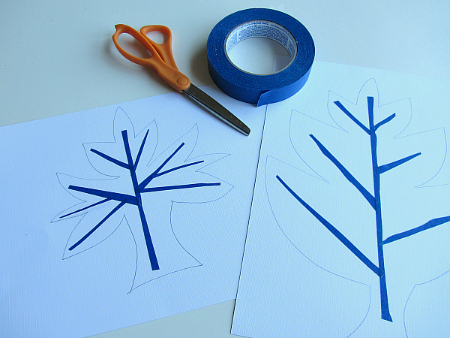 I really like the idea of creating the leaf veins with a resist method. That’s great, but how do I keep my dogs from eating the paint? …and the tape? …and the paper? I just love how you allow your kids to be kids while teaching them so much. Fabulous site! 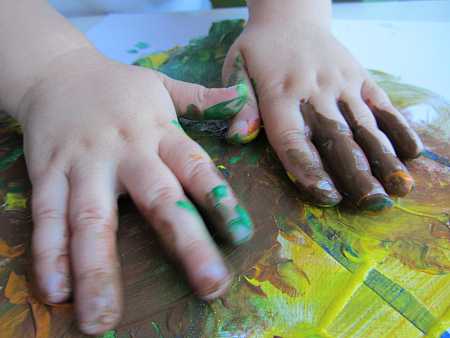 great idea…did you use finger paint? Another fun autumn book is “Blue Burt and Wiggles” by Derek Anderson. We love how the two characters try so desperately to keep summer alive so that Blue Burt doesn’t have to fly south for the winter. Check it out if you haven’t already! !